The National Transportation Safety Board (NTSB) this week released underwater images and video of the cargo ship El Faro, which disappeared in the Atlantic Ocean in October during Hurricane Joaquin, as part of its investigation into the sinking of the vessel. The docket includes information about the sinking, along with the visual media. Sea Star Line LLC owned the U.S.-flagged ship, which was operated by TOTE Services. The ship eventually was discovered Oct. 31, approximately 15,000 feet under the sea. It was in the approximate location of its last confirmed position, near the Bahamas at Crooked Island. There were 28 U.S. crew members and five Polish workers aboard the ship when it sank. All of the information in the docket is available on the NTSB website at http://go.usa.gov/c5vYV. 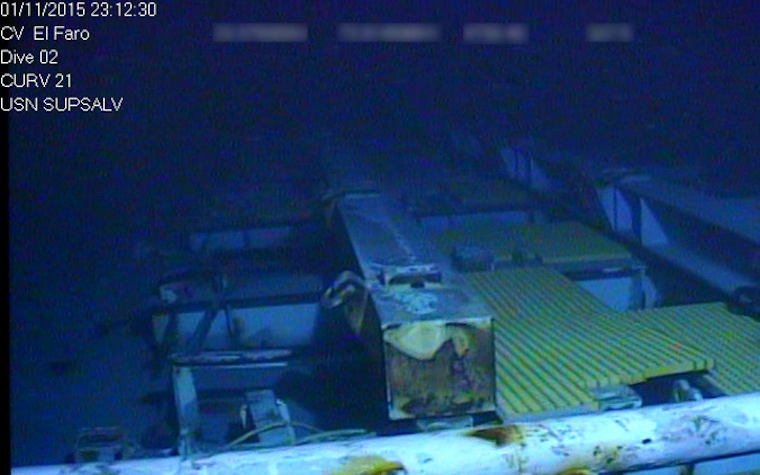 The docket includes nine underwater pictures, a video lasting 47 minutes (recorded by CURV-21, a remotely operated vehicle) and further details.